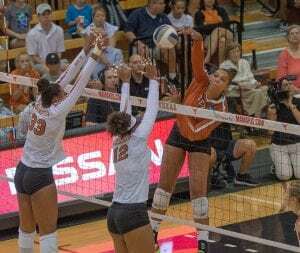 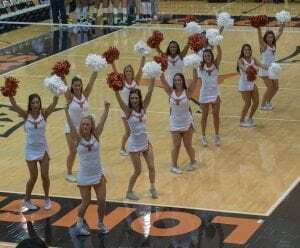 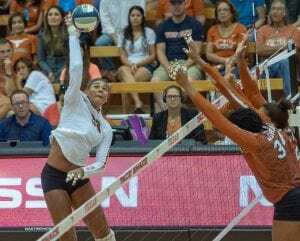 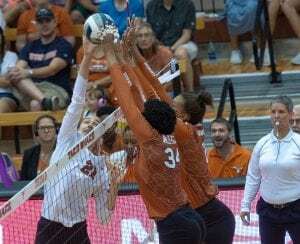 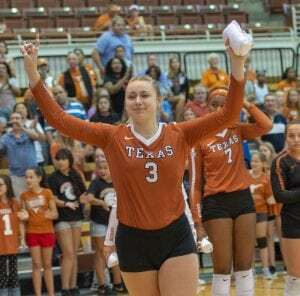 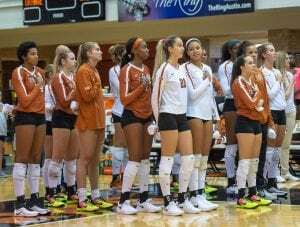 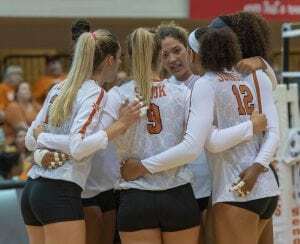 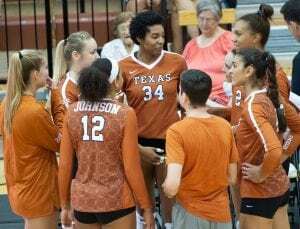 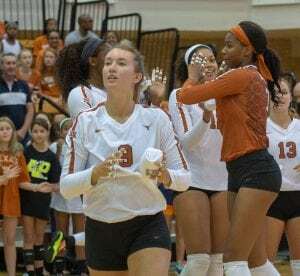 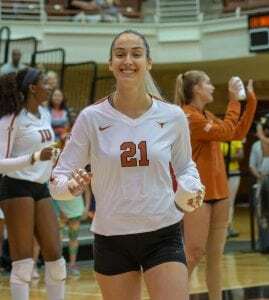 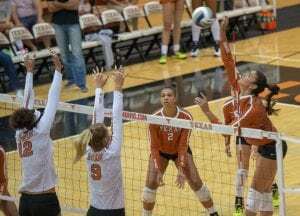 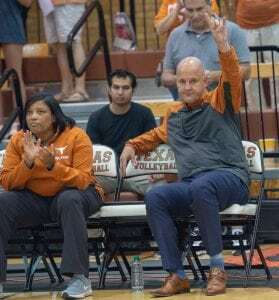 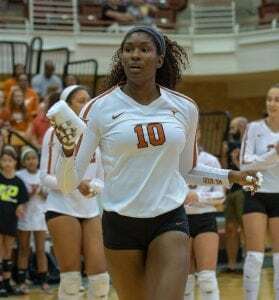 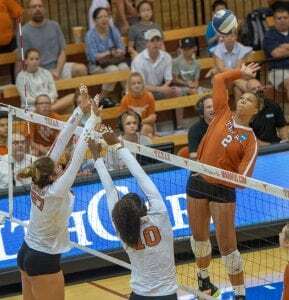 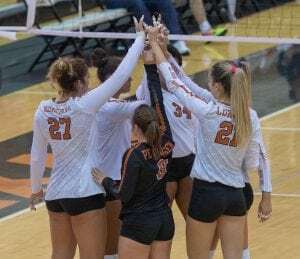 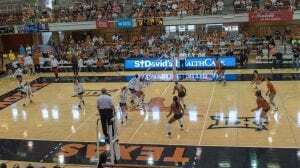 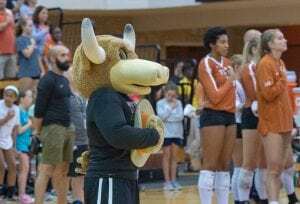 Texas Volleyball begins its 2018 Season with the Annual Orange-White Scrimmage at Gregory Gymnasium. 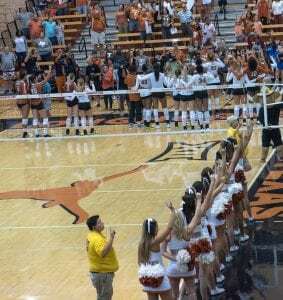 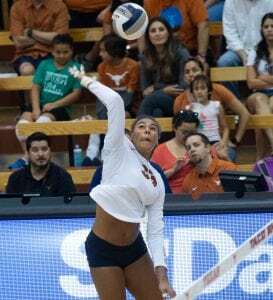 The White Team won 2-1, and the fans enjoyed watching our 2018 Texas Volleyball version show off their skills. 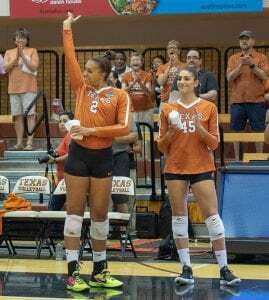 Also returning and playing for the Orange team were Ebony Nwanebu and Juliann (Faucette) Johnson. 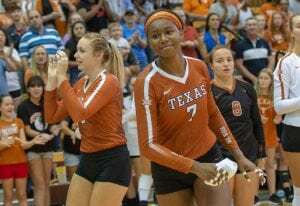 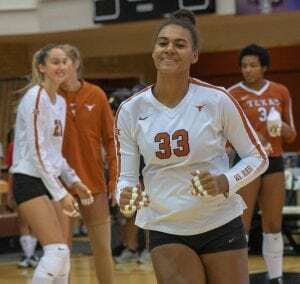 The 2018 returning players for Texas looked fit and ready, and our newcomers looked impressive. 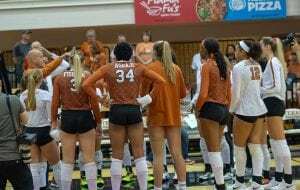 With a tough schedule ahead, our Longhorns will be playing for another Final Four spot once again. 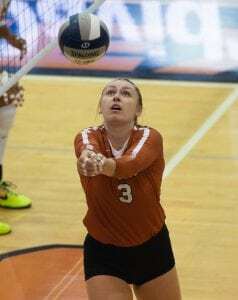 Logan Eggleston OH Newcomer from Brentwood Tenn.